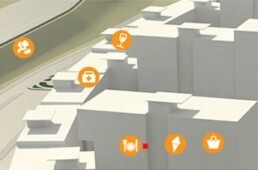 today, offering unlimited potential for user experience. At IGM we understand no two clients are the same and we work to internalize the values and mission of each of our users. At the beginning of every relationship with prospective clients, we provide an intimate consultation to understand your needs. The initial planning and research phase. Our experts in design begin constructing concepts and design empowering content with the goal of developing your brand. Metrics are carefully built into our service to allow you to track the most “interacted with” features of your customized service. From design to implementation, IGM’s expert team is equipped to provide you with superior project management to deliver exciting solutions in a thoughtful and meaningful way. In tandem with our strategic implementation, IGM guarantees the utilization of the highest quality content in your service. 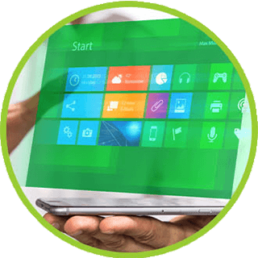 We offer both touchscreen and standard monitors in a vast array of sizes. Creating a custom-made housing for your monitor is a snap. Our millwork experts can build almost any type of structure to enhance your wayfinding, corporate presentation or wall signage. Develop new marketing strategies for your business.  We developed a custom service to capture leads and empower your brand. Our service provides dynamic solutions for B2B and B2C platforms. 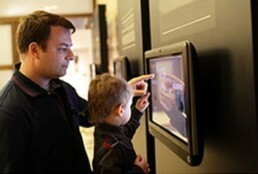 Tablets, freestanding kiosks or building an oversized wall lends to your imagination becoming a reality. 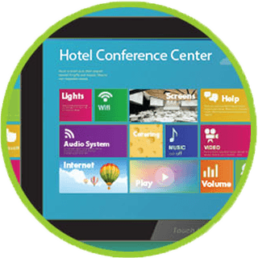 Corporate deployment invigorates presentations, adding depth and life to your conference room. 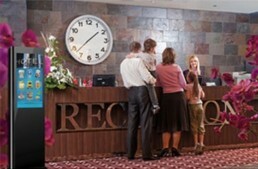 Consumer interaction offers the capability to provide wayfinding support as well as educational aids or the ability to streamline hospitality check-ins. Dependent on content, we can even turn your presentation into a mobile App. 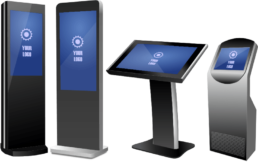 Our interactive kiosk services allow unprecedented access between you and the customer. 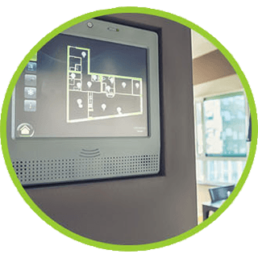 With wayfinding, interactive models, and remote accessibility just some of the many options, you can reach the needs of any audience for any application. To watch the full interview on IGM’s exciting corporate innovation, click here.